Hormosira banksii, a seaweed native to New Zealand and Australia, growing in a New South Wales south coast rockpool. This seaweed is also known as also known as Neptune’s necklace, Neptune’s pearls and – my favourite name for it – bubbleweed. 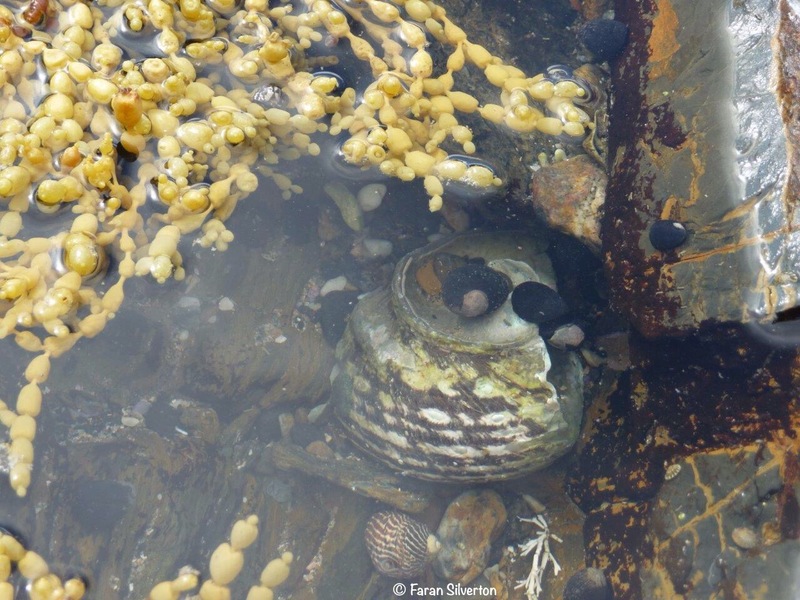 The sea snails are Black Nerite Nerita atramentosa, commonly known as black periwinkles.